HERE WE HAVE IT! 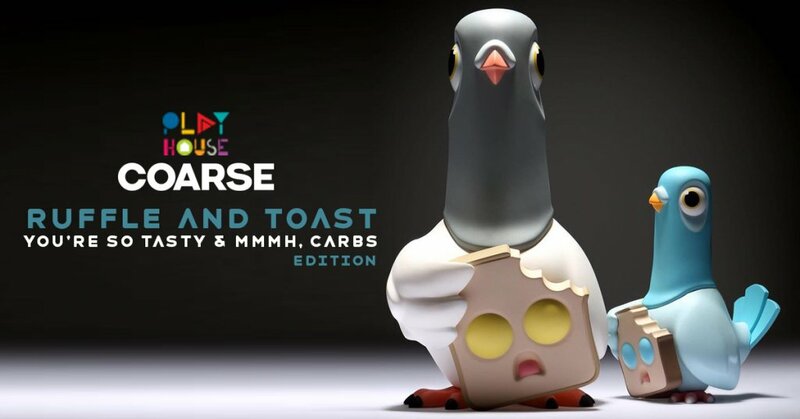 Finally the OG colourways of Ruffle and Toast You’re so tasty & Mmmh, Carbs edition by Play House & COARSE. Due to fly into your local retailer! 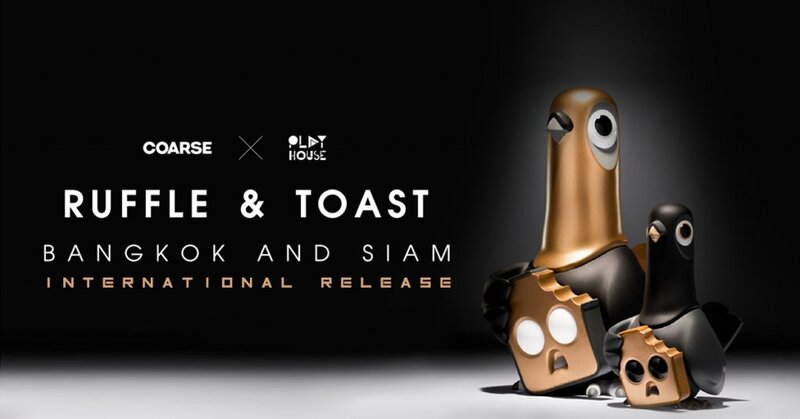 Back in May at Thailand Toy Expo, Friend Feasts Series Ruffle and ToastBangkok / SIAM TTE Blackout set by Play House x Coarse had been already been released and fans have been wondering when “you’re so tasty ” and Mmmh, Carbs” edition would see the light of day. Play House announces some good news for you all. Concept StoreNeed an unboxing of Blackout edition? Check out Jon Paul Kaiser Unboxing Ruffle & Toast (siam) by coarse x Play House below. Need the blackout version? Some retailers have the reserved stock!